Devon Chimney Sweeps and Stove Installations are trained to UK industry standards and endeavour to provide the highest level of customer service to you. Devon Chimney Sweeps and Stove Installations are a family run business and highly experienced in a number of areas. Matt offers his services throughout Devon and surrounding areas. Including, Newton Abbot, Torbay, Exeter and Plymouth. 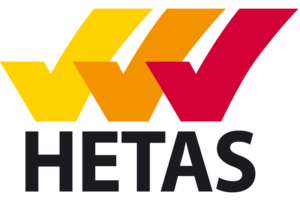 Holding a number of UK approved qualifications, Matt is a RodTech UK Trained Power Sweeping Engineer, a HETAS Approved Installer and fully insured. Devon Chimney Sweeps and Stove Installations offer a wide range of services not limited to just Chimney Sweeping. Devon Chimney Sweeps and Stove Installations are a Government Approved Contractor and you will not find a company that provides a higher level of service. 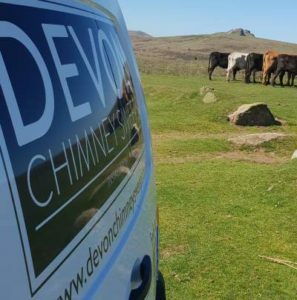 With extensive industry experience, Devon Chimney Sweeps and Stove Installations offer a high quality, clean and efficient service to our customers. Using RodTech Power Sweeping, we provide greater cleaning capabilities than traditional methods. Centrifugal force removes soot and tar ensuring no unneeded force is put on brick work and pointing. We ensure an effective and efficient clean of your flue and leave no mess behind. Whether you require your annual sweep or have moved into a new home and in need of a CCTV inspection, we have a number of services available. Please see below for our list of services. Why Choose Devon Chimney Sweeps and Stove Installations? Devon Chimney Sweeps operate in and around the the areas of Newton Abbot, Torquay Paignton, Brixham, Totnes, Teignmouth, Dawlish, Chudleigh.